Stock Low : 292 items left. 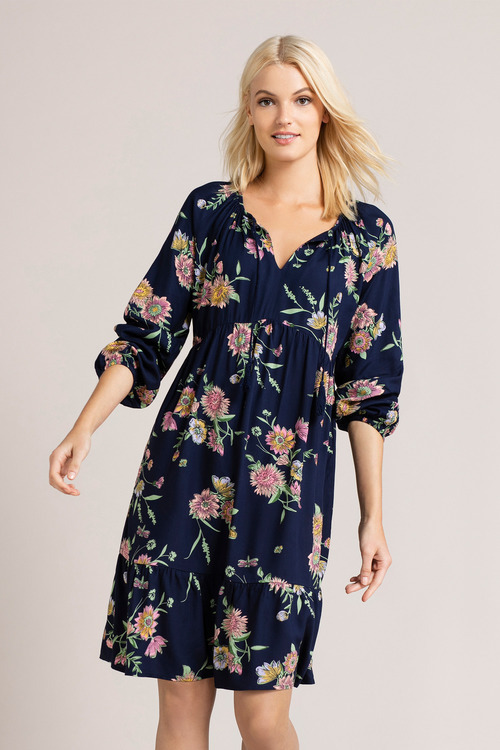 From the gorgeous print and feminine gathering, to the vintage-inspired cut and tassel tie detail, the Emerge Tiered Long Sleeve Dress was designed to keep you looking on-trend but timeless no matter where you wear it or how you style it. Crafted from viscose, this dress is lightweight and floaty, with durable and easy-care elements that make it even more of a must-have for your wardrobe. We'll be wearing ours with chunky ankle or cowboy-style boots, a cross-body bag and felt bucket hat for a simply timeless transeasonal look.